Sudan's President Omar al-Bashir has promised that the New Year will bring about economic development as security forces dispersed protests against the government in the capital with tear gas and live ammunition. The demonstrations, triggered by price increases and fuel shortages, began on 19 December and quickly developed into protest rallies against the government demanding the resignation of al-Bashir. Hiba Morgan of Al Jazeera commented on Khartoum's speech: "When the protests started, al-Bashir said he was going to be awake Take action to reduce inflation But demonstrators say they heard those promises before and during his 29-year reign. "They want him to step down and hand over power to a transitional government until elections are held." 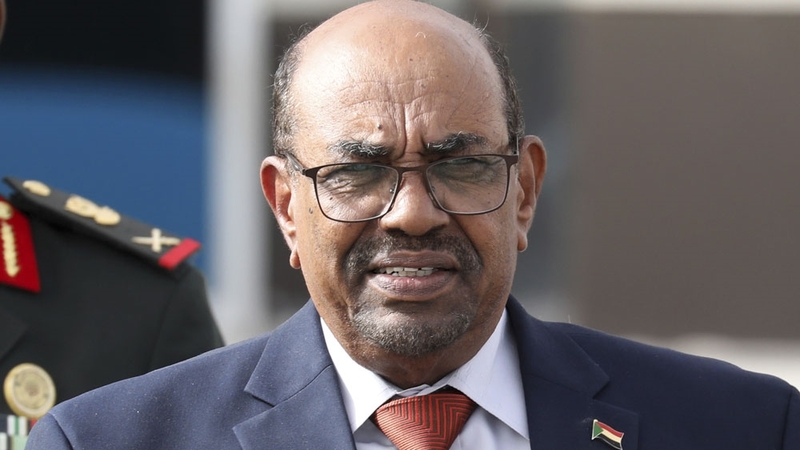 Al-Bashir In addition, the Sudanese people called "from all political sides … to stand together and engage in dialogue … as the sole means of resolving differences," a scenario that seems unlikely given the current unrest. Al-Bashir's speech comes after Sudanese security forces fired tear gas and live ammunition Hundreds of demonstrators in the center of Khartoum on Monday, when protesters tried to march into the palace of al-Bashir and demand him to "resign". Crowds sing "Freedom, Peace and Justice" and "Revolution belongs to the people." gathered in the downtown of the capital, where they were quickly confronted by anti-riot police, "witnesses said. Officials made dozens of arrests, while others saw rooftops and armored vehicles with machine guns parked in the surrounding streets Hundreds of police and security forces stationed at key locations in the capital early in the morning to prevent the march. According to Sara Abdelgalil, president of the Sudanese Doctors' Association in the United Kingdom, hospitals reported that at least four protesters were injured. "A broken skull, a living bullet on the thigh, one in the neck and burns in the neck from tear gas, there are also cases of acute asthma attacks and other minor injuries," Abdelgalil told Al Jazeera. A protester was killed as a result of a live bullet, BBC Arabic reported Monday. Several lawyers who go to trial in Khartoum and Sudan's second-largest city, Wad Madani, have also been arrested, one of the lawyers told Reuters. Since protests, the authorities have closed schools and declared state of emergency The first one broke out on 19 December in the northeastern city of Atbara. The security forces have repeatedly used tear gas, stun grenades and live ammunition against demonstrations. According to government estimates, at least 19 people, including two security personnel, were killed in clashes during the first days of demonstrations. Amnesty International said last week that the death toll is estimated at 37. UN Secretary-General Antonio Guterres has requested "calm and restraint" and called for "the authorities to conduct a thorough investigation of deaths and violence". In a speech to police generals on Sunday, al-Bashir quoted a Qur'anic verse on retaliation in an obvious defense against security measures against protesters: "What is retribution? Killing, is not it?" It's execution. "Our Lord is called Life This is a means to deter others so that we can maintain security. " Sudan is facing an acute currency crisis and rapid inflation, although Washington lifted an economic embargo in October 2017. Inflation is 70 percent and inflation is 70 percent The Sudanese pound has lost value, while the shortage of bread and fuel has been hit regularly in several cities. The Monday march was called for by a group of professionals such as doctors, teachers and engineers. after that he organized a similar rally on the 25th of December.